After my poor Blokey had made me cookies, whilst I merrily slept, he continues baking and cooking. Isn’t he good? 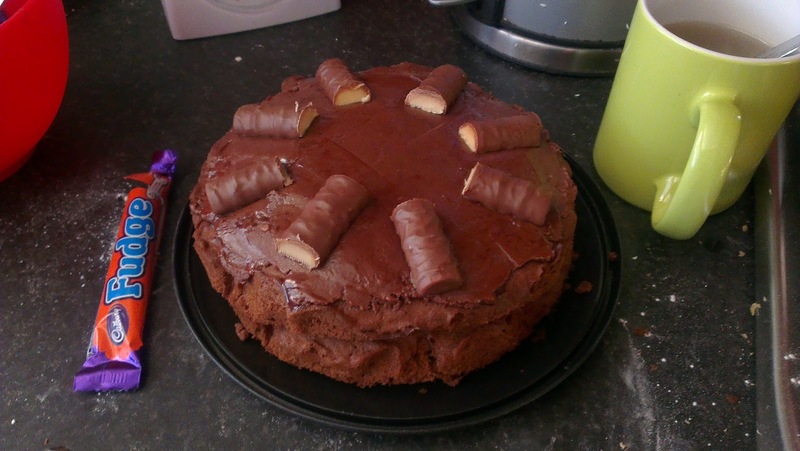 This time, Cake! Yummy chocolatey birthday cake yumminess! Ready to go. 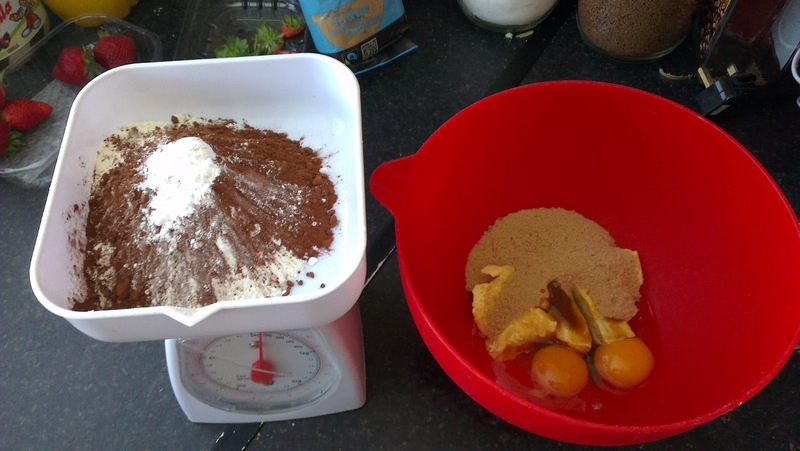 Weighing out the ingredients, on the scales is flour, baking powder and the cocoa. In the mixing bowl are a pair of exceedingly fresh eggs from our pet chickens, with some block butter and the light brown sugar. 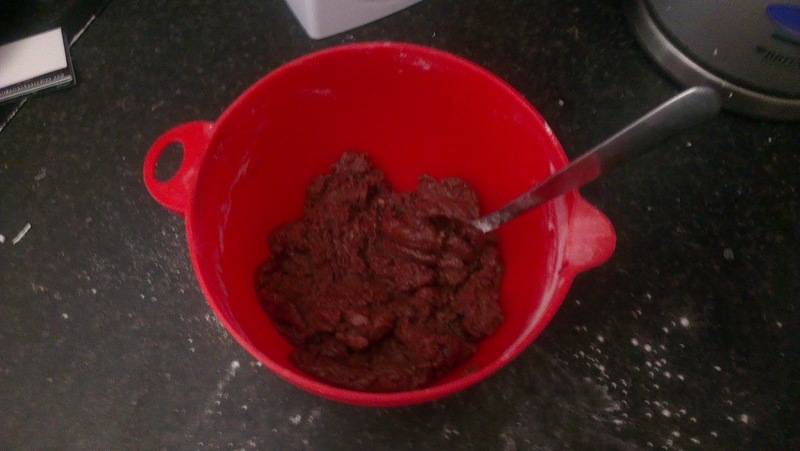 Yup, the classic cake mixture, bung it all in the bowl and mix like crazy. Pretend it takes more effort than it really did and smile. 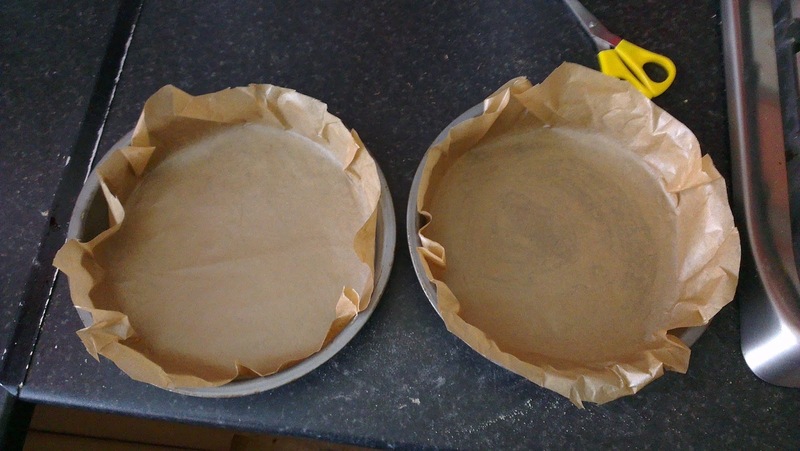 Here are a pair of tins wearing the “baking paper” look as seen on the catwalks kitchen worktops of Milan and Paris all great cooks this season. Here we have the mixture going in to the tins. Oh how I wish Hubby had offered me the spatula after putting the mixture in the tins. 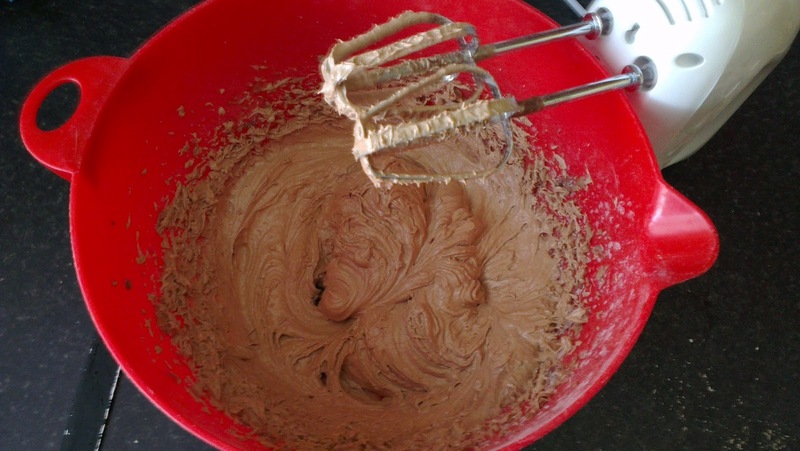 I love uncooked cake mixture from off of the spoon/spatula. It’s not just me right? 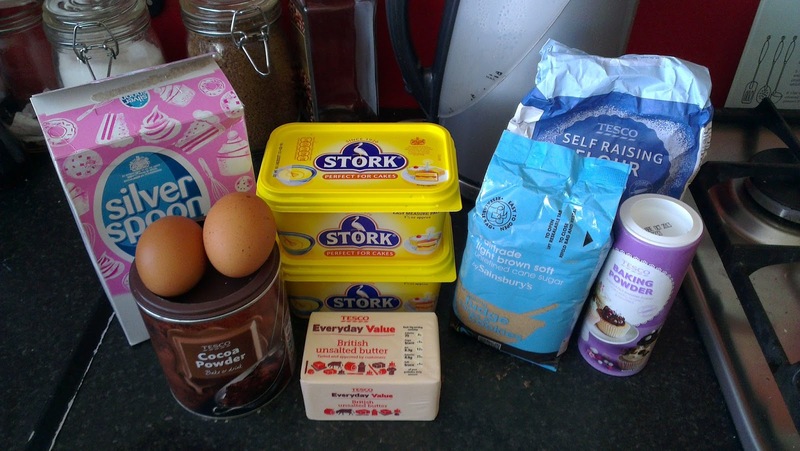 It’s such a comforting memory, of having cake mixture when my Nan was baking, but quickly before my Gramps would give me the raw eggs health and safety talk. Rise my beauties, rise. 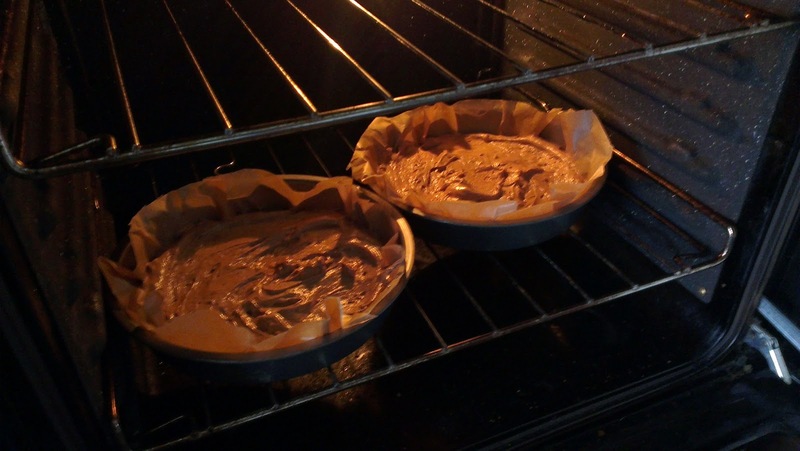 In the oven they go for half an hour. 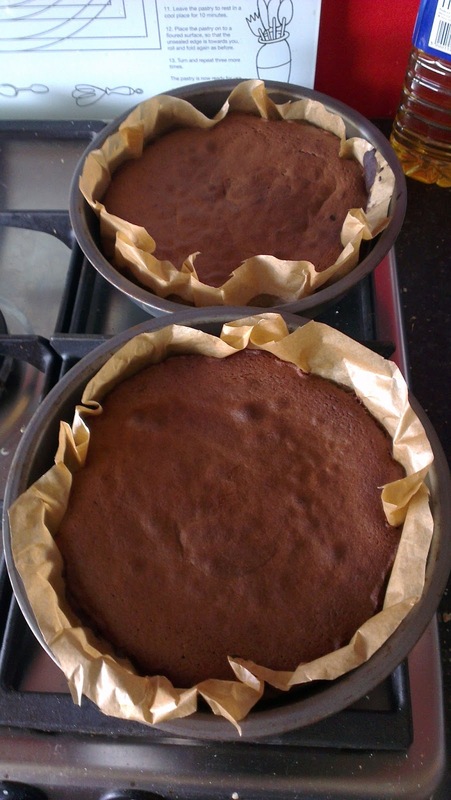 Now for the filling/topping. The Bourneville chocolate, butter and milk go in to a Pyrex bowl, suspended over a saucepan of bubbling hot water to melt down. 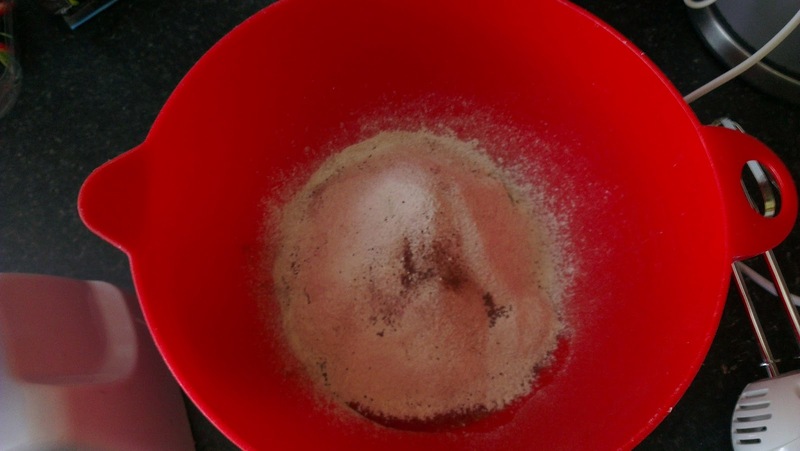 Next you need to mix this molten Choccy goodness in to some icing sugar gently. 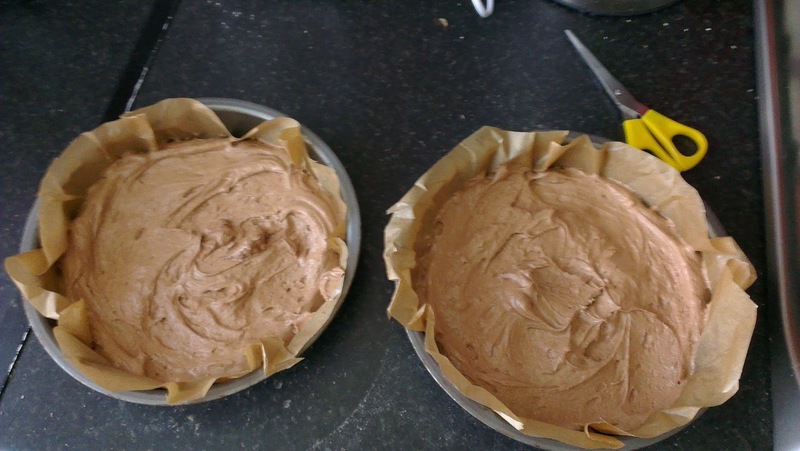 And finally, stick the two cakes together using a bit of the ridiculously tasty chocolate spread like goo. 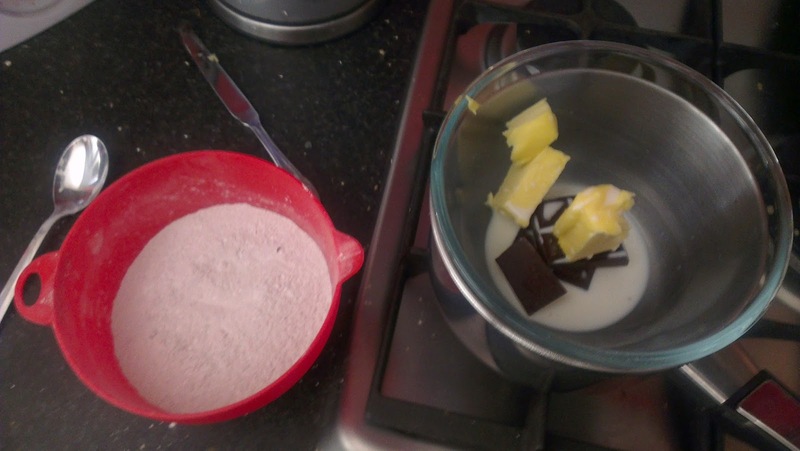 With the remainder of this mixture spread it messily all over the top, and spread it out by using a butter knife warmed in a mug of boiled water. Sadly the mug wasn’t my cup of morning coffee, our this cake *might* have become my breakfast, plus Mr Hubby never turned his back on it! Decorate with Fudge bars, attempt to share, fail to share, and enjoy indulgently. Honestly Honestly, this is some wickedly good cake. 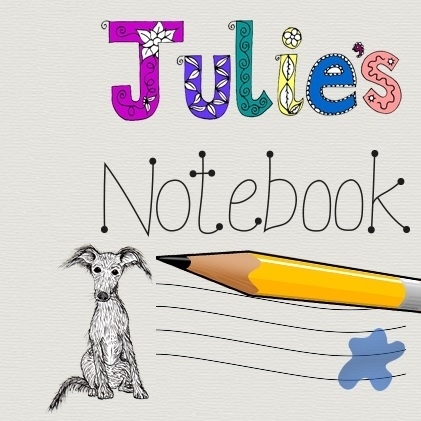 Julie, I’ve nominated you for the Liebster Award. Details on my blog 😀 x http://londonbirdlucy.blogspot.co.uk All the best!